I love to read. One meets new people, can visit old friends and go places that you’ve never been. In some cases, these places don’t even exist except in the mind of the writer. I’d like to say I “stumbled” across L.J. 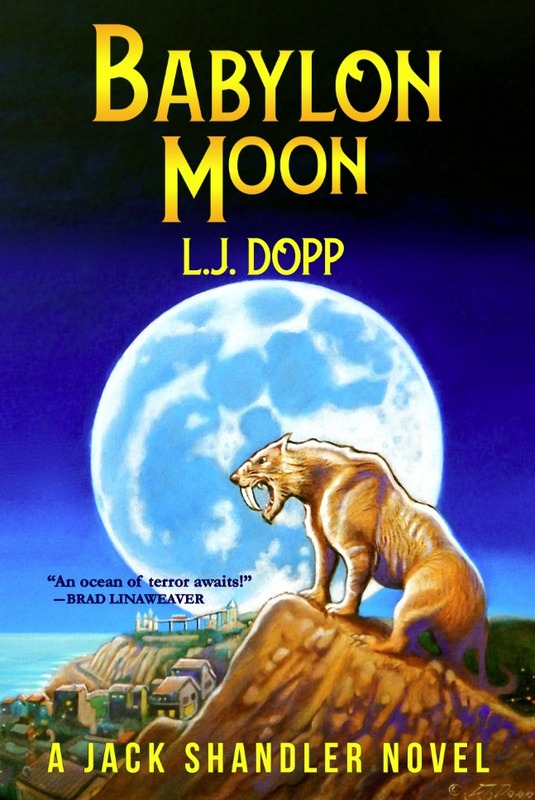 Dopp’s Babylon Moon, but I’d be lying. I first encountered his shady private eye Jack Shandler in the pages of The Wakefield Horror (2018) when L.J. told me he’d published the short story collection (and the novella, the title of which is shared with the book itself) and I – being a pal o’ his – immediately purchased a copy. What a wonderful ride! I ranted and raved about the book to friends far and wide. I’d had such a terrific time following Shandler from downtown LA to the enigmatic small towns of New England, that I wanted everyone I knew to enjoy it with me. But I digress. You can learn more about it on this site, by reading Brad Linaweaver’s Afterword. I think it was about the time of the second Psychotronic Encyclopedia of Film that my own End of the Line came into view. 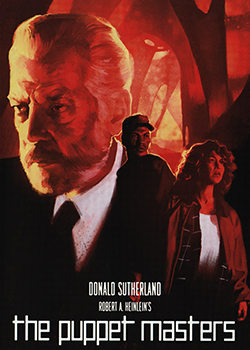 In fevered course of tracking down and viewing just about every film in the original 1983 reference guide, I happened to see about 70% of the titles in the 1996 sequel plus a similar percentage of those in Creature Features Movie Guide and had gone far into the unlisted badlands beyond. Thirties and forties classic Hollywood horror, Fifties giant bug movies, slashers, arthouse, grindhouse, I’d run through very nearly the whole mad lot, what with L.A.’s still-peerless repertory film community plugging any remaining gaps. Radio was filling with yammerheads, I’d given up on most non-news television programming about the time The A-Team got canceled, and quit following TV news when I quit drinking alcohol. These last two developments were interrelated and (it turns out) mutually reinforcing. What I needed was a new obsession. What I did was return to an old one. Brad Linaweaver and I have in common, knowledge--both deep and wide--regarding the Dean of Science Fiction, Nebula Grandmaster Robert A. Heinlein. It’s no surprise therefore, that Brad was a commentator on the documentary extra feature, “Robert A. Heinlein: The Puppet Grand Master,” accompanying the new Kino Lorber release of Robert A. Heinlein’s The Puppet Masters (Hollywood Pictures, 1994); nor that Brad asked me to comment on the new release. Roger William Corman, simply put, is a prolific and influential figure in cinema. With 415 producer credits (presently), 56 director credits, 38 acting credits, and nine writing credits, to call him an auteur would be an understatement, to describe him as a film industry unto himself would be more accurate. A mere glance at his entry on IMDB is bewildering if not overwhelming. The monikers of “The Pope of Pop Cinema” and “King of The Bs” are not exaggerations; Roger Corman’s career spans approximately six and a half decades if one counts his first script sold in 1953 (The House In The Sea) which became 1954’s Highway Dragnet, directed by Nathan Juran (The 7th Voyage of Sinbad, 1958) with screenwriters Herb Meadow (The Lone Ranger, 1956) and Jerome Odlum (The Fast And The Furious, 1954, original script also by Corman) adapting the screenplay. When is a press release not a press release? The answer is when writing in the first person is the best way to express gratitude. This is an announcement with bells and whistles, right in time for Christmas. For me, it usually begins with Jessie Lilley. Long before we worked on media and pop culture publications, we never forgot our childhood lessons from Ray Bradbury and Forry Ackerman. The passport to many worlds of science fiction, fantasy and horror requires literacy and cine-literacy. We don’t want book people with a polite disdain for movies. We don’t want film people who only buy media magazines for the pictures. Robert A. Heinlein said specialization is for insects. The human race should never stop learning. If one day we run across the bugs of Starship Troopers or the slugs from The Puppet Masters, we better be prepared for anything. 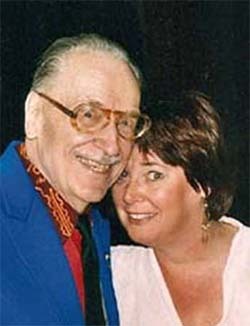 On November 22, 2003, Verne Langdon provided the most surprising birthday surprise anyone could have given to Forrest J Ackerman on the occasion of FJA's 87th birthday, by producing none other than James Warren, the originator and 1958-1984 publisher of Famous Monsters of Filmland magazine. In addition to FM,the team of Warren & Ackerman created many other magazines which inspired the phenomenal American monster craze of our young generation, including Vampirella and Monster World. James Warren and Forry Ackerman had not seen each other in several decades, and the birthday time reunion was an emotion filled event, a historical moment which still reverberates with potential. During his extended stay in Southern California, Mr. Warren was involved in numerous ongoing monster-related business meetings. 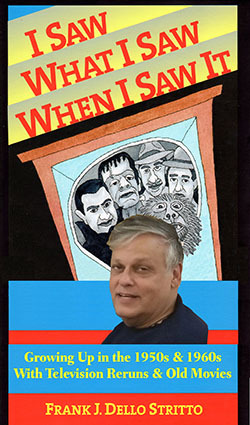 After Forry's birthday party, Mr. Warren granted us an exclusive interview regarding the birth of Famous Monsters, how the Warren publishing empire helped shape our American popular culture, and a look to the future. 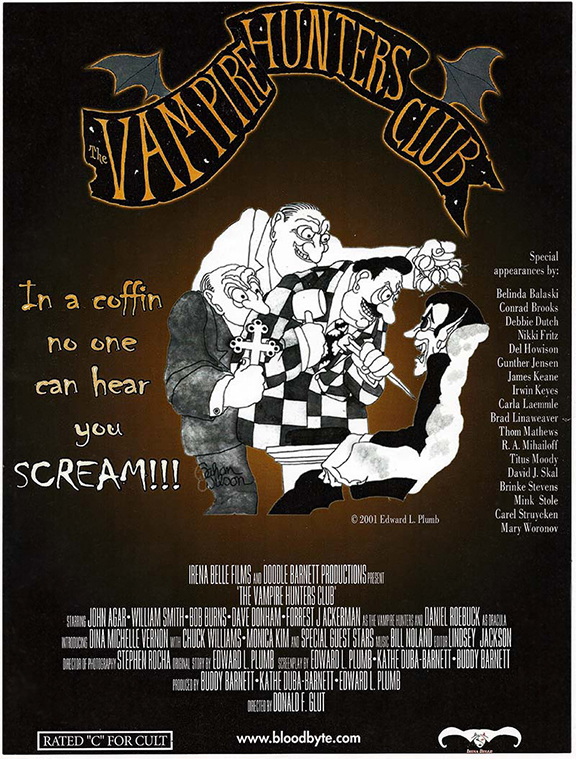 CLICK ON THE PHOTO AND GO WATCH THE MOVIE AT MONDO CULT TV! Saturday afternoon, January 3rd, 1959, I accompany my friend from up the block and his father to the Los Feliz Theater in Hollywood, California, about a mile from the hospital where I was born. After the cartoon and trailers, writing on the screen announces the main feature is beginning. Suddenly, wonderfully exuberant, Arabian-themed music (by Bernard Herrmann) blares over the Columbia logo and titles, which declare the movie is “Filmed in Dynamation, the New Miracle of the Screen.” During the title sequence the camera pans over a colorful, illustrated map, featuring characters from the film drawn in the ancient Persian style. “Is the whole movie a cartoon?” I ask my friend’s dad, and he says, “No! Shhh!” These are the last words any of us speak until the movie’s end – no popcorn or bathroom trips required during The 7th Voyage of Sinbad. 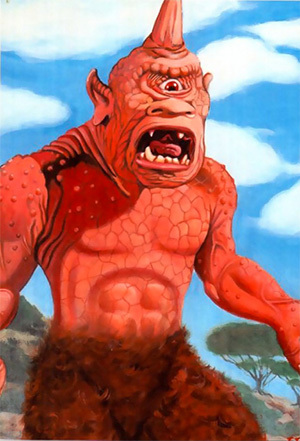 When the Cyclops came running out of that cave chasing the magician, Sokurah (Torin Thatcher), at the beginning of the movie, my life was changed forever. I‘d seen Jules Verne’s 20,000 Leagues under the Sea (1954), The Ten Commandments (1956), and other Disney features in theaters, but we had a black-and-white TV, and I had never seen anything like this Cyclops. Remember the always unsolicited advice never to discuss politics or religion with friends? The timid suggestion is twin to another cliché: Never do business with friends. The downside is painfully obvious. Your only option is to discuss interesting topics with enemies, or possibly unsympathetic strangers. I’ve spent my life ignoring good advice. Not all clichés are bad, however. Life is too short. Not bad. A science fiction writer might add that life is too long to heed the voices of strategic cowardice. Every true friendship of my sixty-five years on this planet has been built on the open exchange of ideas. If there is such a thing as destiny (the title of a Battlestar Galactica novel) it was inevitable that Richard Hatch and I would meet. We started off from such different places but ended up on the same published page. Mondo Cults bids farewell to two of our favorite people. Here are some memories I cherish, about screen actor Conrad Brooks, and the impact he lavished on the early issues of Cult Movies magazine. Our little publication would never have taken the directions is did, unless we’d met Conrad. Other towering and talented persons made contributions which have never been disclosed—but their paths all crossed in our pages. Synchronicities do occur, perhaps more in film than Freud and Jung could imagine, because Hollywood is such a tightly knit community, all working within a few square miles. Lisa Mitchell was my neighbor in the Hollywood Hills from 1986 to 2001. As a little girl of 5, she’d seen Bela Lugosi often in his final years. She was fascinated and later befriended his son Bela, Jr. Lisa and I shared stories and favorite scenes from some of Lugosi’s films. 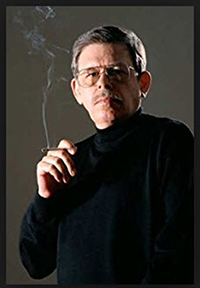 Art Bell died on April 13, 2018 at the age of 72. 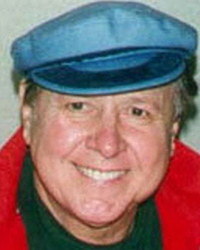 Art was most famous as the talk show host of Coast to Coast AM, with the largest live nighttime audience in the world. He produced the show from his home studio in “the Kingdom of Nye” (Nye County, Nevada). Coast to Coast AM covered many topics--mostly UFOs, ghosts, and the paranormal, as well as doomsday, economic collapse, cutting-edge or fringe science subjects, and often pop culture. Hopefully I’ll be forgiven for thinking that Art’s departure from this world on Friday the 13th seems appropriate. I occasionally called the show on the “west of the Rockies” line starting in 1995, although I never met Art Bell in person. But I do credit him with getting me a job when I lived near him later in the small town of Pahrump, Nevada. You ever read fan fiction or see a fan film? For decades Star Trek fans wrote their own stories about Star Trek characters, then built basement sets of the Enterprise bridge and used newly available visual effects software to make their own Star Trek fan movies. They’d show them at science-fiction and other multimedia conventions. One of the most clever, the feature-length Star Trek: Of Gods and Men using many of the various TV series’ actors, got around the barrier of Paramount’s copyrights and trademarks by giving away free DVDs bundled with another indie film, InAlienable, starring Richard Hatch, Walter Koenig, Alan Ruck, and many other well-known actors. A new book by L.J. Dopp is cause for celebration. That doesn’t mean we should light the candles for a Black Mass. Nothing that traditional would be appropriate. This is a friendly celebration, even though elder gods and monsters are on the guest list. 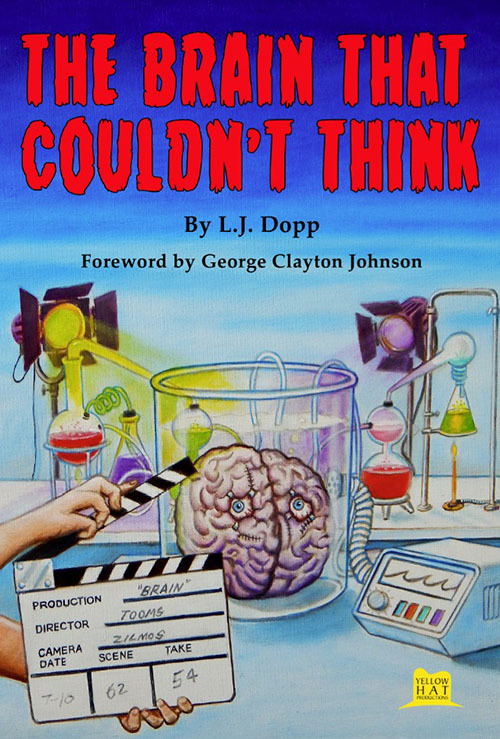 The author of last year's The Brain That Couldn't Think is a writer, illustrator, and musician who always thinks. He is a permanent resident of what Forry Ackerman referred to as Hollyweird, Karloffornia. From that vantage point (perhaps at Griffith Observatory?) he explores all of space and time—but is just as likely to find a mystic rune reflected in a puddle of dirty water, next to a window display of arcane texts in a dilapidated bookstore. A black cat can look at a king. A nickel-and-dime private eye can look into glowing yellow eyes with double pupils and swirling irises, meet stare for stare, and not go blind. Heroes are too pissed off to care about something as unimportant as their own sanity. The Wakefield Horror is the new collection of six short stories and the title novella, detailing the adventures of Jack Shandler. 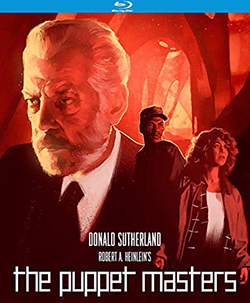 Although content with solving routine crimes on the earthly plane in the stories (often involving "the arcane and the occult"), he finds himself in the universe of The Cthulhu Mythos in the novella. Perhaps it is more accurate to say the tip of H. P. Lovecraft’s arctic imagination intrudes into Shandler’s world of cops and criminals, making skid row look like an ideal vacation spot by comparison. Whether you call them Tag Sales, Garage Sales, Swap Meets, Yard Sales, Rummage Sales, Flea Markets, or any of the myriad regional names we give to the event of selling our crap and hoping others buy it, the bottom line is, if you enjoy this sort of thing… stay the hell out of Florida. I’m not saying this to cut down my competition, I am telling you to stay away, in my avuncular role. 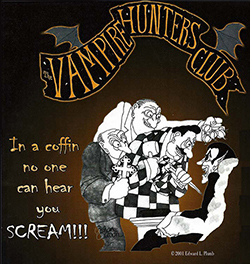 Today is the launch of Mondo Cult TV, with a special little film from the dawn of the century, The Vampire Hunters Club. Written up in Cult Movies and Scary Monsters, featuring a cult cast and a witty script, this legendary film is offered for free, thanks to the producers. It’s part of history now. Click here and visit Mondo Cult TV! J. Kent Hastings and Bill Ritch provided invaluable technical assistance in the film transfer. Anyone reading the Mondo Cult Online site is likely to be a member of the Monster Boom generation—and they know it. Furthermore, these film elite will be aware that Frank Dello Stritto is among the greatest Monster Boomers, and it is Frank who coined he term, recognizing the concept. A few of us were introduced to Frank by way of his early essay in a 1970s vampire themed issue of Mark Frank’s film fanzine Photon. In more recent times, he’s been an important contributor to Cult Movies and Monster Bash magazines. As a spin-off of Frank’s insightful writing ventures, he founded Cult Movies Press, a publishing house devoted to books of horror film history, all highly acclaimed by fans of the genre. In June of 2017, Cult Movies released a highly awaited first-horror novel authored by Frank. A Werewolf Remembers is written in part, as the life telling diaries of Lawrence Talbot, printed verbatim. Interspersed with these are editorial commentaries authored by Frank. When I was doing Cult Movies Magazine in the 1990s, I became close friends with our staff writer, Guy Tucker—a young man who saw things in films which were beyond the average viewer. A true boy genius, he taught himself to read, write and speak fluent Japanese by age 15. He traveled to Japan to meet and interview everyone at Toho Studios. 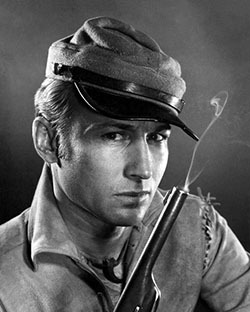 I respected all about Guy, and was very sad when I heard that he had died in 2007. One time after six years of reading our magazine, Guy told me “the best thing you’ve got going in your pages is the work of Mr. Dello Stritto.” I concur that Frank was the greatest then, and he’s amazing in our Century 21. 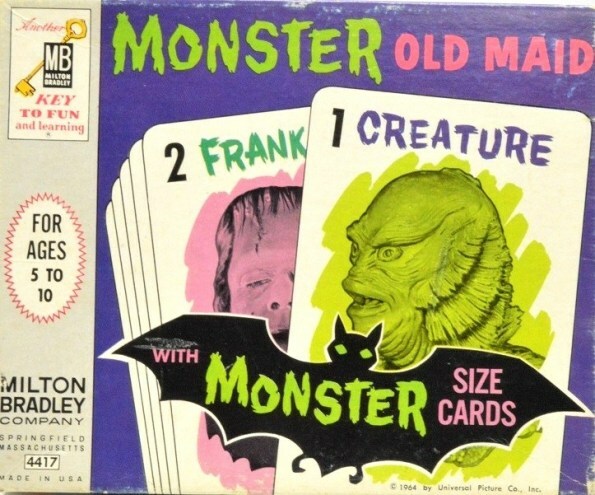 Frank still writes for monster magazines (currently he is a regular contributor to Monster Bash Magazine). 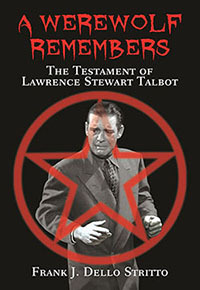 His latest book, A Werewolf Remembers—The Testament of Lawrence Stewart Talbot, premiered in June 2017. In August 2017, I met with him and his wife Linda at the famed Los Burritos Mexican eatery on Hollywood Boulevard in Los Angeles. They were visiting from Houston, which was then experiencing record-breaking rains and floods. Frank and Linda were a bit worried about their home (which mercifully did not flood), but were otherwise the upbeat and entertaining people than I have now known for almost 20 years. 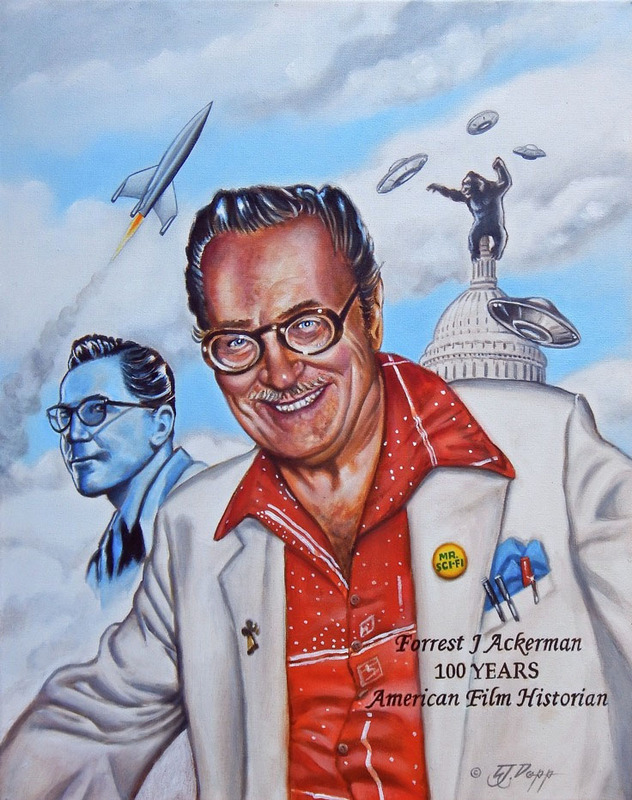 On Thanksgiving Day in this 2016th year of our reckoning, Forrest J Ackerman would have celebrated his 100th Birthday. He's gone now though, so it's left to us to celebrate for him. Brad and I were ruminating about our very different, though sometimes strikingly similar, memories of Forry and decided we should do something for 100 years. And of course, it wouldn't be a Mondo Special without an original piece of art from the eerily-talented L.J. Dopp. So please, join us in wishing The Ackermonster a Happy Century Mark. "Up, up and away, with Forry J!" "He was a dear man." Exclusive to Mondo Cult, artwork by L.J. Dopp and © 2016. No reproduction without permission. The first time was in Dallas, Texas, the summer of 1971. A childhood dream came true. Not an adolescent dream, confused with inchoate ambitions and ill defined lusts for an imaginary adulthood. Childhood fantasies come before all that. They are about the Sense of Wonder. Suddenly, I was more than an undergraduate at Florida State University, attending Dallascon, my first science fiction convention. Finally, I was meeting Forrest J (no period for some arcane reason) Ackerman. Seeing a letter of mine published in Famous Monsters of Filmland the previous year had been a thrill, but it didn't compare to an actual encounter. As we shook hands, I was transported back in time to the stark fears and desperate hopes of a crazily imaginative childhood. I could hear the music again. Science was magic. The future, whether good or bad, was going to be wildly different than the present. It just had to be. A hundred years ago, when I was quite young, I used to save my nickels and dimes so I could buy my favorite magazines. They were MAD Magazine and Famous Monsters of Filmland. I would stop at Lazzaras at 11 West Railroad Avenue in Tenafly, NJ on my way home from school and pick up the new issues. Then I would hide them in my book bag, because my mother didn’t think I should be reading either of them. What did she know, anyway? She thought The Ink Spots were a “pretty hip group” and didn’t grok the magic of The Beatles. Of all the people I met during those years, one of the larger influences was Richard Valley, with whom I eventually created Scarlet Street: The Magazine of Mystery and Horror. 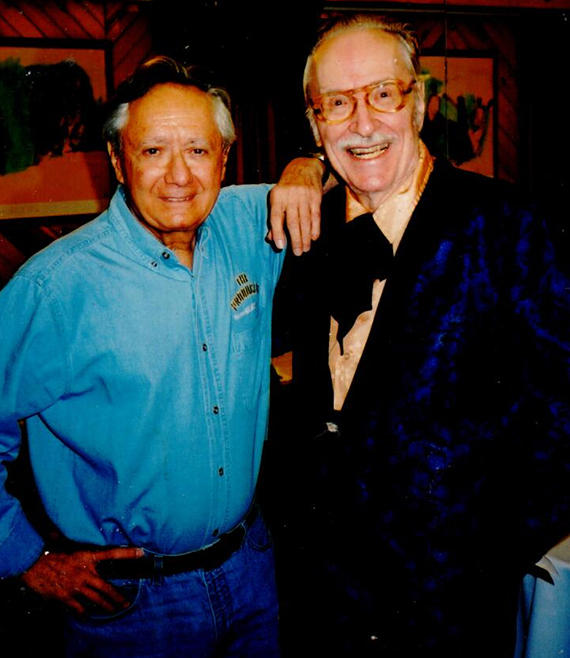 It was Richard who sent me off to the Son of Horror-Thon convention (now known to those in the know simply as Chiller) in NJ, to get an autograph for him from Forrest J Ackerman. Off I went and met one of my idols and quite simply, it changed my life. Forry and I got on splendidly from the git go. He liked women and I liked brainy punsters so it was a win-win. To look at an actor or actress, requires one to look at the body of their work. An often exhausting process depending on how prolific the thespian, it is also quite often enjoyable as conclusions can be drawn from their successes and failures, making for contrasts or comparisons with other greats in the same field. 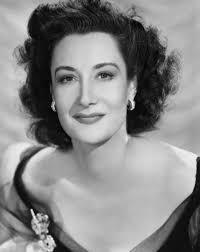 Yet, there are actors that are singularly incomparable, with character that indelibly marked the industry. 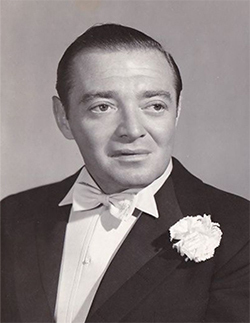 One such was Peter Lorre. Born Laszlo Lowenstein in 1904, the Hungarian Jewish actor’s story could be a film unto itself. Running away from home at a young age, learning the stage craft in Vienna before debuting in Zurich, working as a banker—then traveling throughout Europe doing stage in Germany, Austria and Switzerland before landing his first seminal role, a film role, in Fritz Lang’s revolutionary M in 1931. This book was a lifetime in the making. It contains multitudes. In the foreword, George Clayton Johnson promises that the reader will "discover what a fascination with pop-culture, a satirical turn of mind, an ironic sense of humor, and a head full of bright ideas can do to a man." He's introducing L. J. Dopp. One of the best short story collections in many years did not just happen. The thing had to grow over time, fed by the blood of cruel memories. You know the movies where the flying saucer lands? There is keen anticipation as nervous humans wait for something to come out. Suspense is an ache in the soul. Anything can happen. The Brain That Couldn't Think is a lot like that. 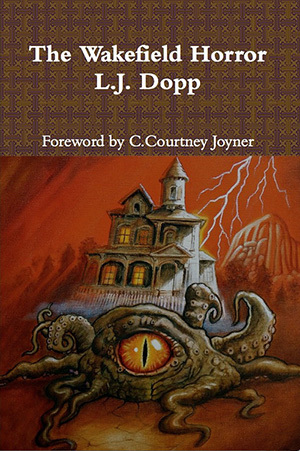 Dopp has written fiction chock full of surprises. When's the last time there was a book of this kind? Many writers have become as predictable as a summer cold. Either trapped in the slowly grinding gears of genre conventions, or preaching a straight-jacketed ideology or theology, the only surprise is in guessing how long their next tome will be. These writers are so deep in terminal exhaustion that their work lacks the brevity of Charles Dickens. Dopp will have none of this. He does not sell escapism by the pound. He tells his story, and stops when it's over. Let’s start with the greatest news first, then put a few add-on items at the end. The news is that via the marvel of a Google search, anyone can now view the original trailer for Universal’s 1935 masterpiece, The Raven. Something film fans and collectors lamented, “We’ll never see!” A short while ago, I was searching around the ‘net and up came the pristine trailer for my favorite film; totally devoid of any splices or scratches—it appears as clear as the day it was shot. Where has it been secreted away (for over 92 years)? It’s as action and thrill packed as the feature itself and very compact at 2 minutes long. The single most exciting fact is that the film is billed as starring Bela Lugosi (first!) and Boris Karloff—the only time Bela received top billing over his supposed rival. For a television show that is bursting at the seams with secrets, it’s not a secret that Twin Peaks is one of the greatest cult television shows of all time. If you haven’t seen it, you’ve definitely heard about it. And if you have seen it, you’ve definitely talked about it. If you fall into the “haven’t seen it” category, what are you doing here? Go watch it! Immediately! And when you come back, you can agree with mostly everyone on the importance of Twin Peaks; a show filled to the brim with mystery. Its entire existence is a mystery in itself. The idea that something like this can exist on prime time television on a major network—not HBO or Showtime, but ABC—the same channel as Full House (let that simmer for a second.) You could be watching the Olsen twins one minute and enter The Black Lodge the next. This show was so ahead of its time; it was almost as if David Lynch could see into the future. Like the early 90s showed up at a Halloween party dressed as the mid 2000s. 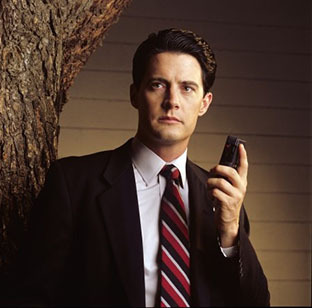 David Lynch and Mark Frost really cemented the type of stories that you can tell on television; a model that is just blossoming today. Years and years before Breaking Bad or Mad Men or Game of Thrones, Twin Peaks was a completely new ballpark for TV to play in. The last thing I ever wanted to do was get involved in what I assumed was another hash up of the Apocalypse on film; even worse, the idea of the film was purportedly based on a video game. I was not looking forward to the three DVDs that had been glaring at me from the top of the TV for a full week. Finding myself with some free time early one morning however, I admitted defeat and sat myself down-fortified with some strong coffee, to view the films. Imagine my astonishment when about 10 minutes into the first film I realized I was enjoying myself. Either I’m etting less picky in my dotage or this film is actually pretty good. A little history: RESIDENT EVIL is based on the Capcom PlayStation game of the same name (it’s called Biohazard in Japan which is where the game originated). We won’t dwell on the game itself, other than to note the basic premise: learn the mystery of the mansion—while vanquishing zombies, their zombified dogs and countless other bad guys along the way—and escape alive. In short, the game is your basic quest fantasy. 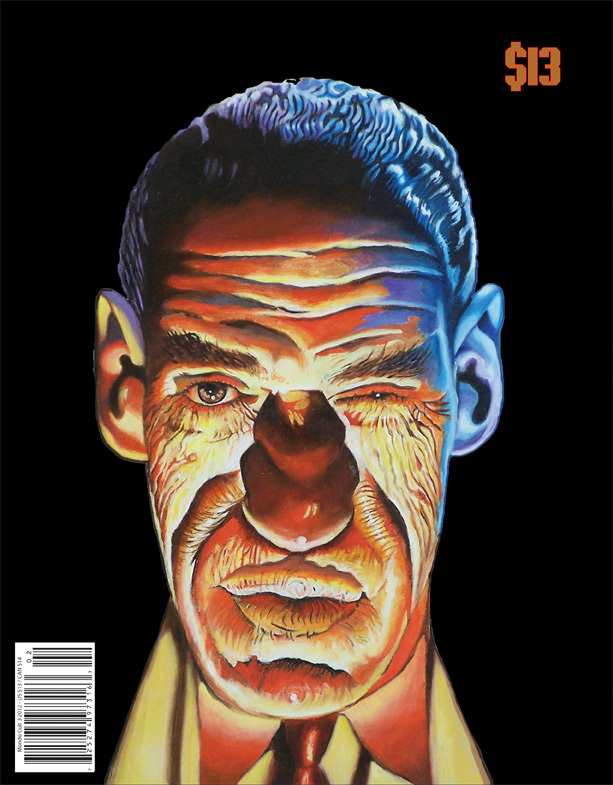 Mondo Cult Readers and Writers comment on the magazine and website. Check out the LETTERS page now! WATCH ALONGSIDE NIGHT—THE FULL MOVIE, FREE! Click HERE to see J. Neil Schulman's Alongside Night for free! Come By The Official Mondo Cult FaceBook Page! SILICON ASSASSIN on YOU TUBE | Keep Up With The Hit Counter! Check out this review of SILICON ASSASSIN at L.Neil Smith's The Libertarian Enterprise. Lest we forget, we honor the original cast that launched the Silicon Assassin series. and our star, Richard Hatch. In Print: Order Your Hard Copy Of Mondo Cult Today! Click The Cover To Order. Once the last issue is sold, it's done. No reprints. No new print issues. Nuthin'... This is all there is and there ain't no more...! "MONDO CULT comes as a cool breeze of giddy literary fun... Your inner Monster Kid will freak out!" "As the title suggests, the focus is on the world of cult entertainment. The first issue contains departments addressed to new movies on disc, new music (including an especially solid collection of soundtrack reviews), new books, and more." Wanna Come Inside? Sign up at the Mondo Cult Forum! Go Shopping with Mondo Cult at Our Brand New Store! Go Shopping with Mondo Cult at Amazon.com! Just click on one of the widgets and away you go to Amazon.com, for all your film, book and music Shopping. That's all you have to do to help support small press publishing and keep your favorite genre mag alive! Have fun! This brief review can in no way do justice to the third issue of Mondo Cult, which packs in several magazines' worth of material between full-cover pages. Although adhering to no solid publishing schedule, Mondo Cult, when it arrives, has become a critical vehicle for the review and study of classic film, music, books, and people of science fiction, horror, and fantasy. In this issue over 30 writers contribute articles. Photos of actors, writers, and other personalities fill virtually every page, along with images of classic movie posters, advertisements and cartoons, not to mention a Frank Frazetta picture on the back cover. One could spend hours reading and re-reading this magazine, and still discover or re-discover new aspects of what is covered.